As a part of this year’s long list of favorite holiday traditions, my family and I plan to attend Knott’s Berry Farm’s seasonal event Knott’s Merry Farm that runs from November 19 – January 8! Even our very own pet Snoopy was so excited to hear the news that he requested to watch the nostalgic A Charlie Brown Christmas in preparation for the big day! This year’s Knott’s Merry Farm includes park-wide lavish decorations, live entertainment, festive food and a shopping wonderland filled with local artisans. 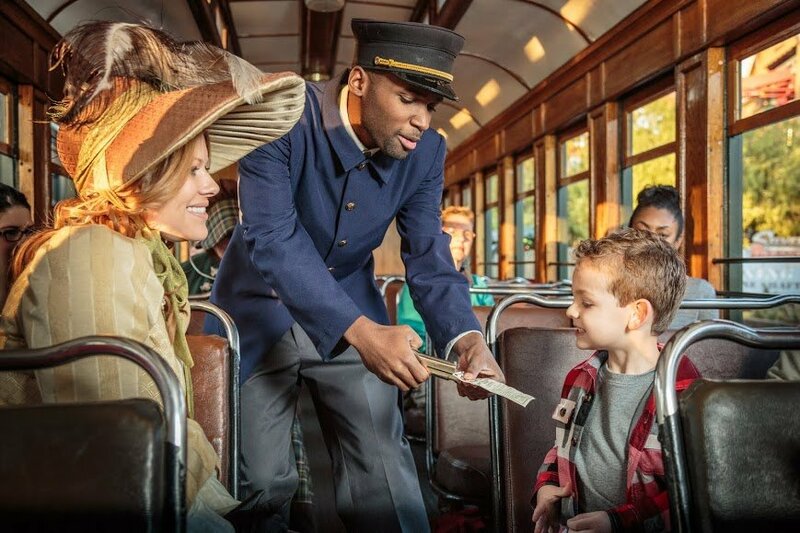 Here’s a sneak peek into what’s in store for visitors! A performance by the world famous beagle, Snoopy, as he performs in the anuual ice spectacular Merry Christmas Snoopy! inside of the 2,100 Charles M. Schulz Theatre. In the exciting show, filled with whimsy and spectacular skating, Snoopy enjoys all of the best parts of the season, including trimming the Christmas tree, awaiting Santa’s arrival and attending the festive Christmas Ball! 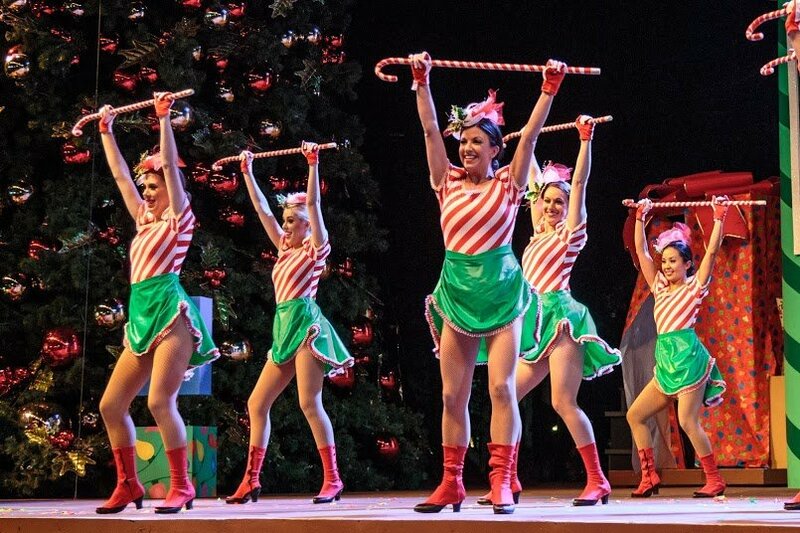 Seasonal live entertainment fills the park during Knott’s Merry Farm! Ghost Town celebrates of the sounds of the season with the Dickensian vocal quartet. 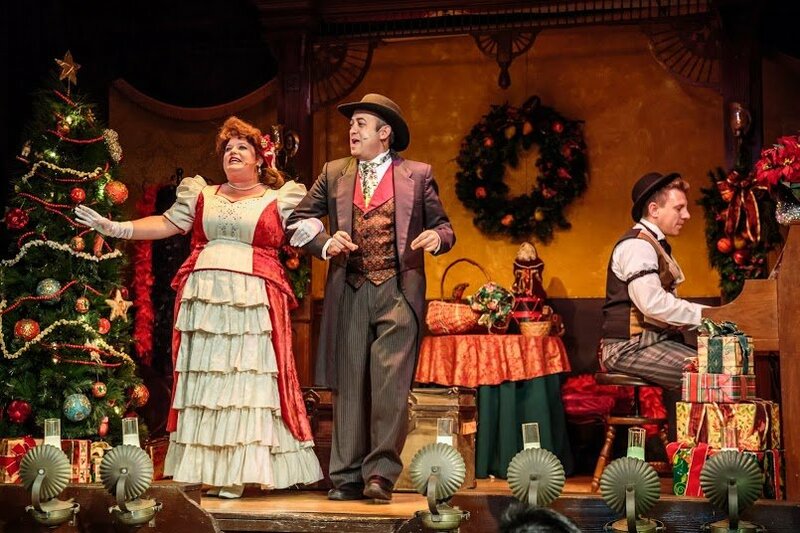 In the intimate setting of Ghost Town’s historic Bird Cage Theatre, catch a live performance of Charles Dickens’ A Christmas Carol or O. Henry’s A Gift of the Magi. 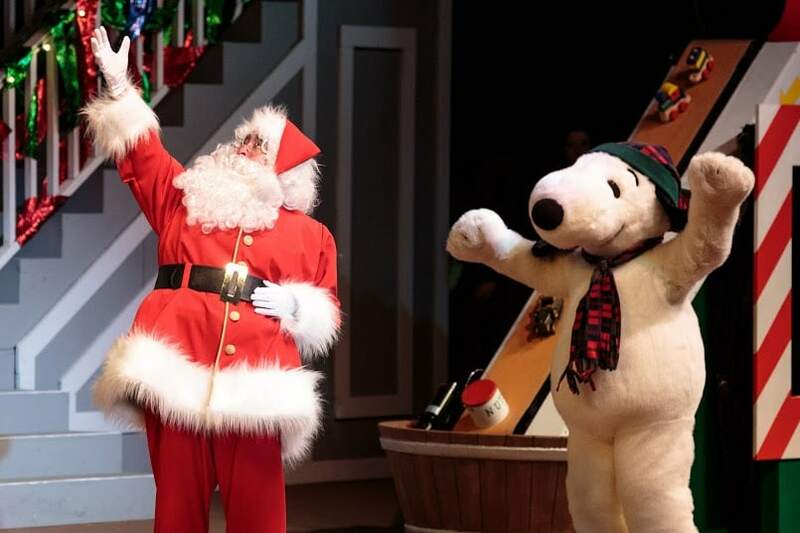 Then head over to Camp Snoopy to watch the Peanuts Gang in their charming holiday show “A Peanuts Guide to Christmas.” The Peanuts give their take and unique wisdom in a primer designed to help everyone survive the holidays. The show features delightful mash ups of holiday songs with a cheerful and heartwarming dose of the Peanuts gang. After the show, head right next door to the Peanuts Meet and Greet Area to take a picture with your favorite character. New this year, It’s The Merriest Christmas Show Ever, Charlie Brown takes place at the new Calico Mine Stage. The Peanuts gang is at it again this holiday season as they have put on the greatest Christmas pageant ever with Charlie Brown directing, of course. Join Charlie and the gang for a charming Christmas show as they perform traditional upbeat holiday classics and spread Christmas cheer. Find out if Snoopy returns home in time for a magical and festive holiday season to celebrate Christmas with Charlie, Sally and the rest of the Peanuts. Finally, when the sun sets on the Farm, Calico Stage lights up with the celebration of the season in Snoopy’s Merriest Tree Lighting. Join Snoopy and Friends for a musical, whimsical tree lighting featuring a cast of Toy Soldiers, Snowmen, Elves and America’s most famous beagle, Snoopy! When the sun sets on the Farm, the buildings and paths in Ghost Town’s Main Street will be filled with glow and snow! Thousands of sparking lights will dance to the beat of familiar holiday music while snow gently falls in this spectacular one-of-a-kind moment each night. While in attendance, make sure to savor the ultimate comfort foods with Knott’s world famous desserts, including fresh made-to-order Maple Lollipops, churros from the Churro Factory, cakes, cookies, muffins and gingerbread men in the Farm Bakery, as well as the legendary cooking at Mrs. Knott’s Chicken Dinner Restaurant. Knott’s Berry Farm knows that no Christmas is complete without a visit to see Santa Clause at Santa’s Christmas Cabin too. The Wilderness Dance Hall in Ghost Town becomes home to Santa’s Christmas Cabin for the holiday season. Here, the young and the young at heart can share their wish lists with jolly Santa Claus and take home a picture of the occasion. 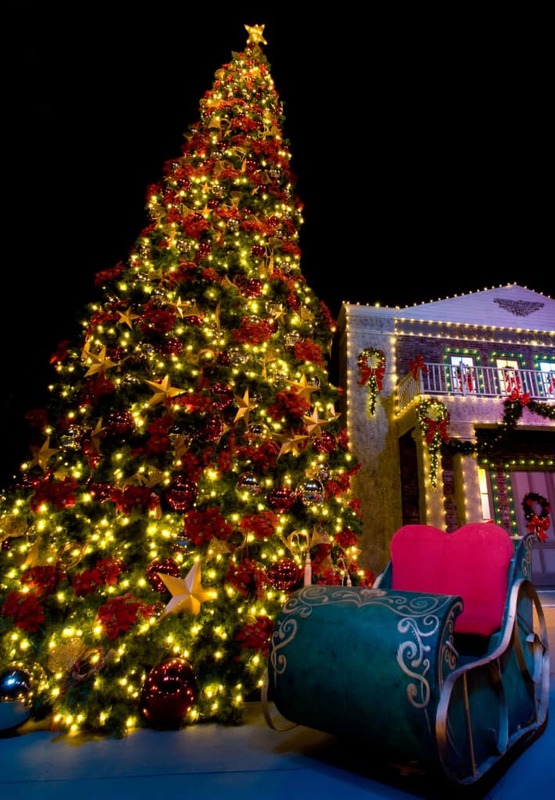 Right now you can get discount tickets to attend Knott’s Merry Farm through Goldstar! The price is $25 / Kids and $39 / Adults. Plus if you buy a 2017 Knott’s Berry Farm Season Pass right now, you can enjoy the lowest price of the year and receive unlimited 2017 visits to Knott’s for only 9 easy payments of $8.50. And you will get one 2016 visit for FREE! Hurry though, this offer expires on November 3. For more information on Knott’s Berry Farm, including park hours and events, please visit www.knotts.com or download the Knott’s Berry Farm app from your smart phone. 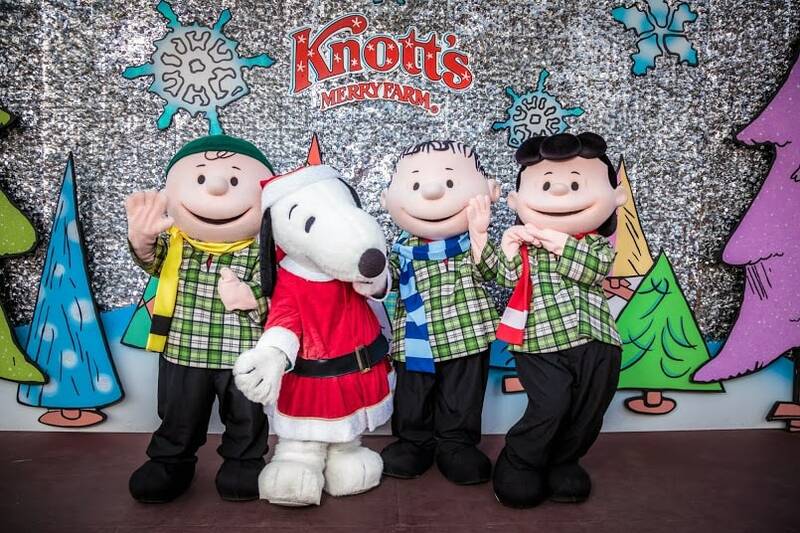 Snoopy and my family look forward to seeing you this holiday season at Knott’s Merry Farm! Disclaimer: All pictures copyrighted by Knott’s Berry Farm and used with permission.